If you’re moving within the month, boy… I hope you’ve started preparing already. 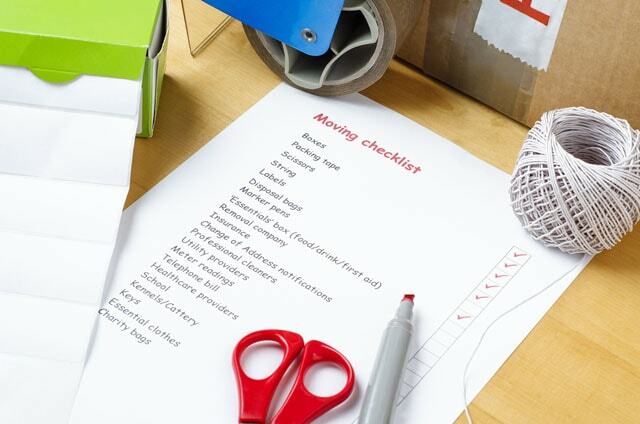 Moving is a lot more time-consuming than you may think. Think about your kitchen alone. How many cabinets and drawers you need to pack up? Yeah, make sure you give yourself plenty of time to pack up, especially in case something unexpectedly comes up. Do NOT save packing until the day before. Your friends and family will be cursing you on moving day. 3. Keep it or pitch it. And while you’re clearing up the clutter, decide what you need to keep and what you can pitch (or donate). Do you really need that little broken end table in the new house that you have been meaning to fix for the past 5 years? Or the ping pong table in the basement that no one has played… like ever? Yeah, might want to donate that one. 4. Boxes in every size. 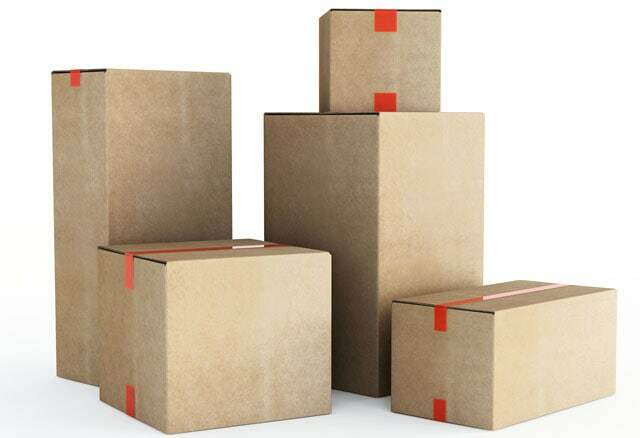 Make sure you purchase boxes in various sizes. For our winter clothing I had really big boxes since they were pretty light when all packed up and everything was stored in one place. But that same box wouldn’t work for my kitchen dishes. Also, check your local grocery store for free boxes. Always works for me! Purchase plenty of packing paper and bubble wrap. I would hate for you to get to the new house with broken collectibles or nothing to eat on. Yeah, it takes a loooong time to wrap everything, but it’s better than having to replace items after you move. 6. Get lots of moving blankets. Moving blankets are great for covering large furniture in the moving truck so things don’t get scratched. Also useful for large paintings, mirrors, and televisions. Once you unwrap items, you can use the blankets when moving furniture so you don’t damage your door frames. I’m a list maker. I make them on my iPhone, on my computer, with sketchpads and my pencil. It will help you keep track of all the tasks if you’re able to write them down and cross them off as you complete each one. 8. Order PODS or a storage unit if needed. Sometimes you can’t transition smoothly from your old place to your new home. Check into pricing of PODS or local storage units and compare. Also check online for coupons and see if one place will honor a competitor’s pricing. Worth asking at least! 9. Turn on utilities in the new place. It will help your movers know where to place furniture if you draw out a floorplan of your new home prior to moving day. Kinda sketch where the couches, end tables, etc will go. You can always tweak it later, but at least it’s a starting point. 11. Mark your kitchen cabinets in the new place. Your mother-in-law might want to try and “help” you unpack kitchen boxes. Yeah, then you won’t be able to find your soup ladle for 6 months. Instead try to get your helpers on track by labeling the cabinets and drawers with sticky notes (plates, cups, mugs, silverware, etc). 13. Buy carpet protection tape. 14. Call in the reinforcements. 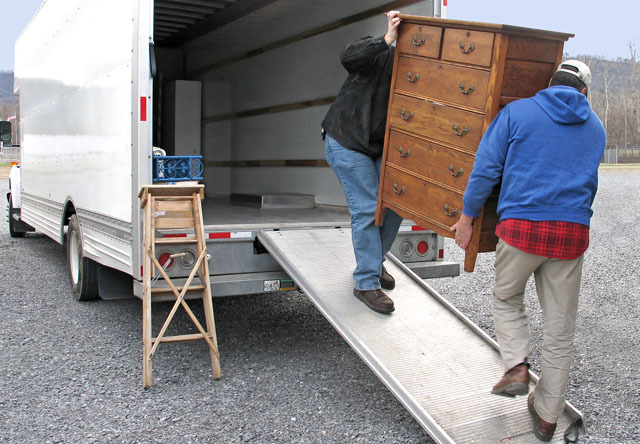 If you have a lot of valuables and nice furniture (or if all this moving talk simply makes your brain fry), Hire some professional movers.